Pour the oil in a pan big enough to sauté spaghetti when cooked. Place the pan over medium heat. When the oil is hot, but not smoky, sauté garlic, peeled and crushed. Meanwhile, rinse zucchini, cut in quarters, then chop into pieces thick about 1/4 inch. 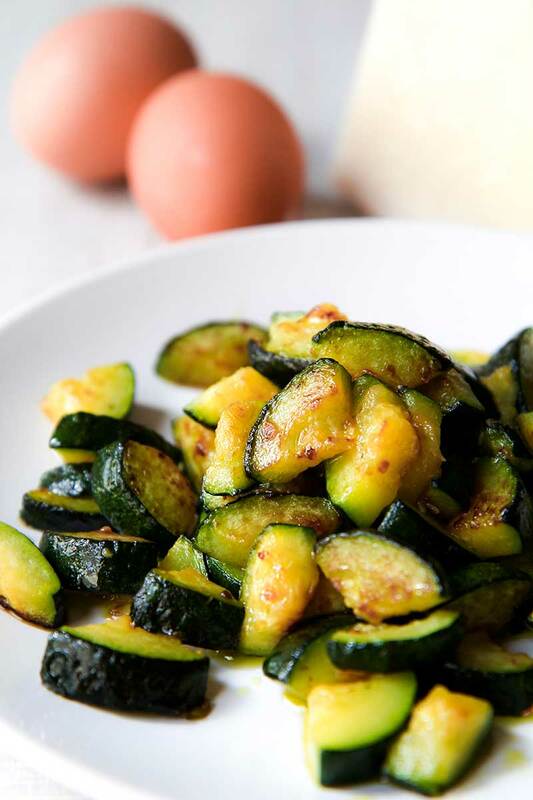 Discard the garlic when golden brown, and stir-fry zucchini over medium/high heat until golden, but not mushy. Salt zucchini as needed. Bring to boil 5 quarter of water into a pot, then salt with 5 tbsp of cooking salt. 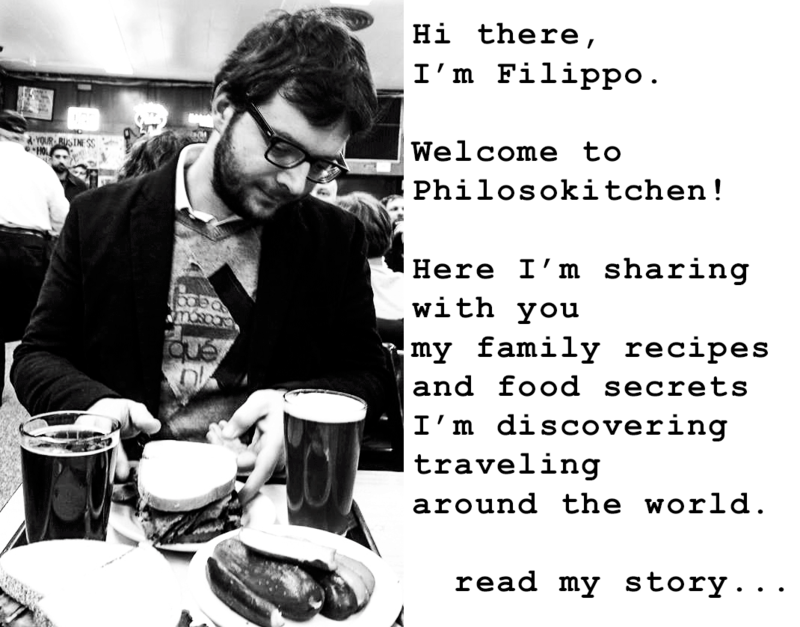 Cook spaghetti. 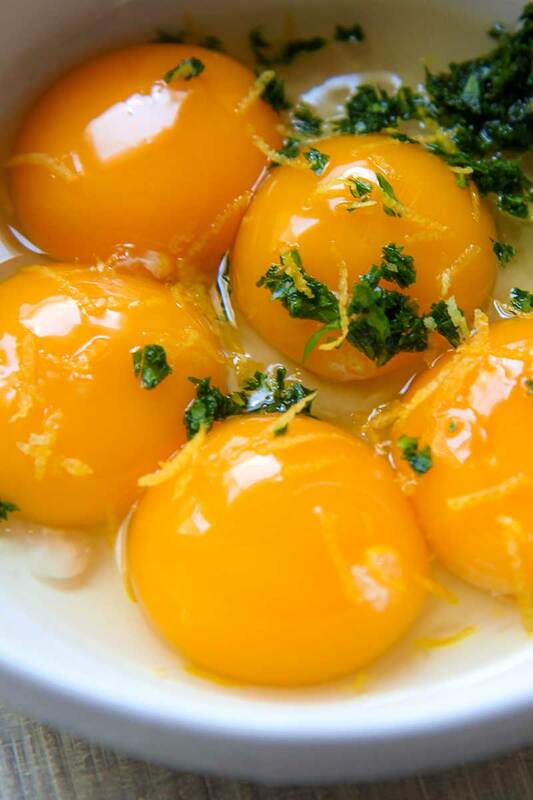 Meanwhile crack the eggs (best if pasteurized in order to avoid any food-borne illness) and pour 1 whole egg and 6 yolks in a bowl, along with minced parsley ground black pepper and 7 pinches of table salt. Beat the eggs, the add 2 tbsp of Pecorino Romano and grated lemon skin. Beat the mixture until consistent. 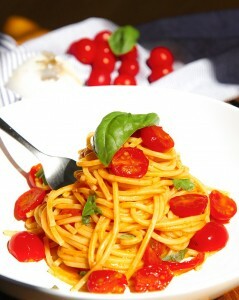 Raise spaghetti “al dente”. Sautè pasta with zucchini a couple of mins over high heat, stirring continuously. Place the pan far from heat. Now, the most delicate step. Yolks start to coagulate on 149° F, so to obtain a creamy sauce, pour the egg sauce when pasta reach 140°, stirring continuously. This step will be easy with the experience, but if it is the first time you try this recipe, consider to use a thermometer. Just when the spaghetti are well seasoned, pour the spaghetti into the dishes, complete with the remaining Pecorino Romano. Serve vegetarian carbonara immediately. Pour the oil in a pan big enough to sauté spaghetti when cooked. Place the pan over medium heat. When the oil is hot, but not smoky, sauté garlic, peeled and crushed. 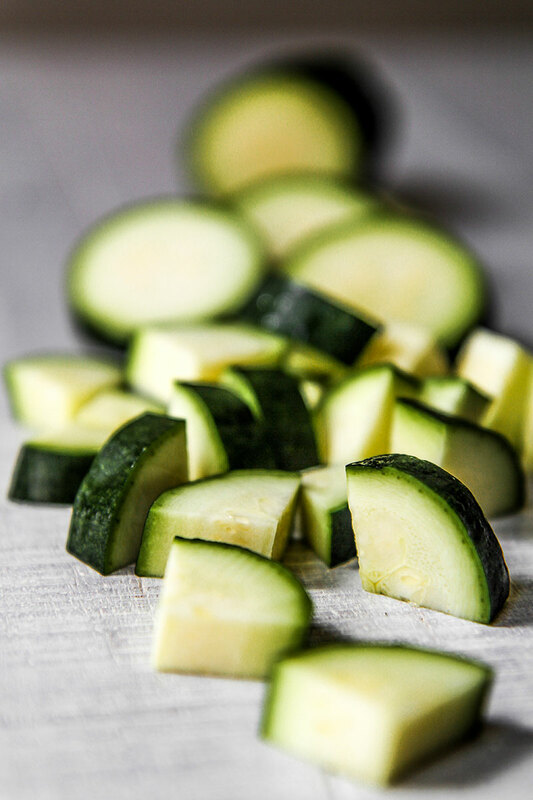 Meanwhile, rinse zucchini, cut in quarters, then chop into pieces thick about ¼ inch. 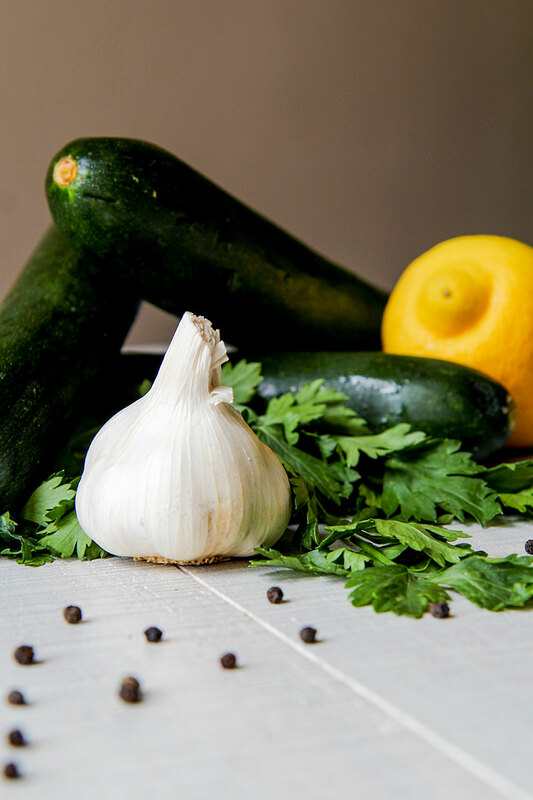 Discard the garlic when golden brown, and stir-fry zucchini over medium/high heat until golden, but not mushy. Salt zucchini as needed. 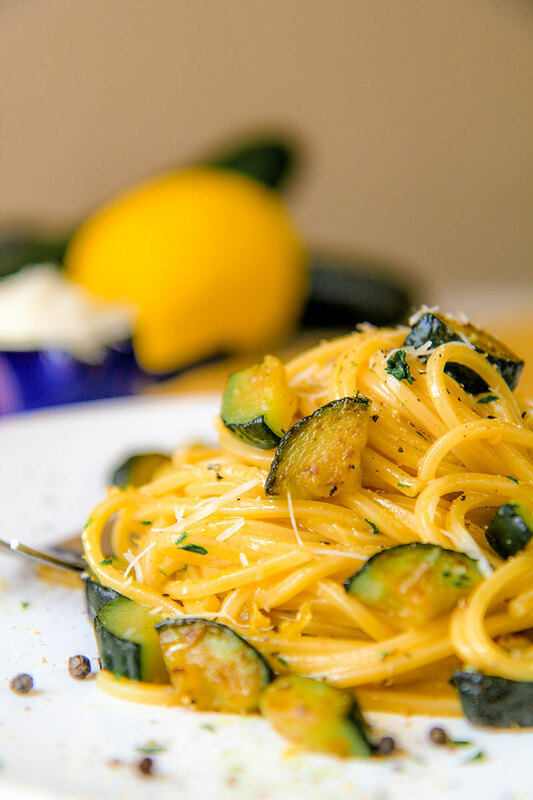 VEGETARIAN CARBONARARaise spaghetti “al dente”. Sautè pasta with zucchini a couple of mins over high heat, stirring continuously. Place the pan far from heat. Now, the most delicate step. Yolks start to coagulate on 149° F, so to obtain a creamy sauce, pour the egg sauce when pasta reach 140°, stirring continuously. This step will be easy with the experience, but if it is the first time you try this recipe, consider to use a thermometer. Just when the spaghetti are well seasoned, pour the spaghetti into the dishes, complete with the remaining Pecorino Romano. Serve vegetarian carbonara immediately.